What you’ll need to know for this Saturday’s Event! 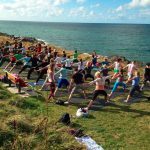 Location: All yoga activities and treatments will be held on the slightly lowered flat area of green just outside from the Fistral Bay Hotel on South Fistral to the left of the steps down to the beach. Look out for our signs and marquee! Parking: There is free parking in marked bays all along Esplanade Road, Pentire Avenue and the side roads. Parking can be very busy this time of year so leave enough time if you’re driving! Registration: On arrival, please visit our marquee to sign in for all events and try to get there a few minutes early so we can start classes on time. What to bring: If you are taking a Yoga-Surf lesson, please bring a towel and a wetsuit if you have one. 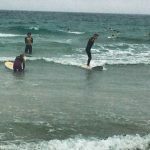 there will be boards and wetsuits available for the surf lesson. For AcroYOga & Mass Yoga Class, please bring a mat if you have one or a big towel. There will be about 40 mats available on a first come, first served basis! If you cannot remember what you have signed up for, please drop us an email and we can let you know! If you cannot make your booked session, please contact us as soon as possible as we have people on the waiting list for the yoga-surf classes, thank you! We are very excited to announce our 2nd annual Big Free Yoga Day on 25th July 2015! This day is our gift to all of you for supporting us this year and to welcome those new to the community, locals and visitors. Last year was an absolute blast and we can’t wait to share it all with you again! ☺️ We will also be raising funds for The Wave Project so feel free to bring any pennies you can to donate to this amazing cause! 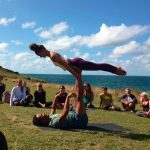 YOGA-SURF: starting with an surf-specific yoga class with Stretch on the grass to get you warmed up and ready to get in the water mentally and physically. We’ll then head down to the sea with a fun surf with Dom and his team from Surf Sanctuary. Yoga mats, wetsuits and boards provided! Session times are 11am-1pm and 12.30pm-2.30pm – LIMITED SPACES! THERAPIES: try a free taster session with our Therapists from our Wellbeing space! We’ll have Massage, Bowen Therapy and Reiki for you to sample leaving you relaxed and soothed. Treatments will be every 1/2 hour throughout the day! Now the important bit! Spaces for all of these sessions fill fast and you’ll need to book quick! 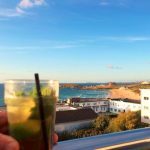 To book one (or all!) of these sessions throughout the day, please email stretch at stretch@oceanflowyoga.co.uk. First come, first mat!